We are constantly creating, and with that we make new Patterns! Here are a few of our shop exclusive patterns for your pleasure. Happy Knitting! It's Football season! So get in the spirit and make yourself a fabulous hat to go with our Hometown team! SKOL! One of our most popular patterns this fall. Need a quick and easy something to decorate, or maybe a hostess gift. This is a great project. We put together this pattern for our 2017 Fall retreat with Blue Sky Fibers. We wanted to showcase a variety of fibers from Blue Sky. With this pattern we use Extra, Brushed Suri, Woolstok & Baby Alpaca. 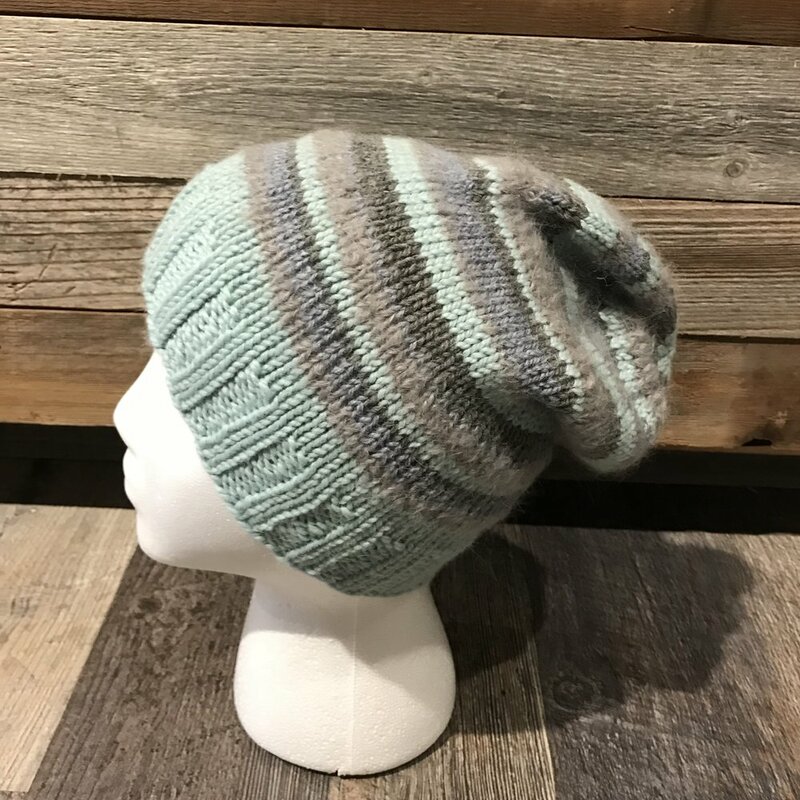 A great hat for all our MN weather.